This past year has been simply amazing. We went higher, deeper and further afield than we ever have. It was also our best year from a business perspective. While we continued to visit our traditional destinations, a couple of notable highlights included safaris to Ethiopia and Madagascar. We also visited Raja Ampat in West Papua and of course, Patagonia and Antarctica. In 2018, we welcome Bridgit Fried to the Epic team. Based in U.S.A, Bridgit brings her travel expertise and love of adventure to all our Epic destinations. This year she experienced both Africa and Australia. Please be sure to contact Bridgit for her travel tips & highlights. Of course, a personal highlight this year was my summit of Everest. Obviously this is “not everyone’s cup of tea”. That said, everyone has their own Everest to one degree of another and we take great delight in helping our clients achieve theirs. We are blessed doing what we do. Personally there is no greater fulfillment than to witness “stoked” clients who are getting the best from life. In 2019, we will see some exciting developments with new destinations coming on line in South America and south east Asia. And the launch of a new ship we will be using in Antarctica. We also have a number of exciting small group journeys in 2019 which may be of interest. To all our fantastic clients I say a very BIG thank you. Thanks for being part of the Epic family and for your ongoing support. At the close of another year, we wish you all the very best and will raise a glass in salute for an epic new year! Great Migration Safari. Every year approximately 2 million wildebeest plus several hundred thousand zebra, eland (the world’s largest antelope) and gazelle migrate to follow the rain and the resultant sweet, fresh grass. The river crossings are one of the natural world’s iconic spectacles and can be very dramatic due to the large numbers of animals attempting the crossings to get to better pastures. The event is not for the faint hearted as many animals drown or are injured, are caught and eaten by Nile Crocodiles or are ambushed by predators on land (lion and leopard) as they enter or leave the rivers. Viewing the migration at any time of the year is a natural phenomenon that can’t fail to impress. The river crossings demonstrate the harsh reality of the effort required to survive for Africa’s wildlife. The crossings should be viewed with discretion, whilst on safari or video, as some may find the action or footage disturbing. 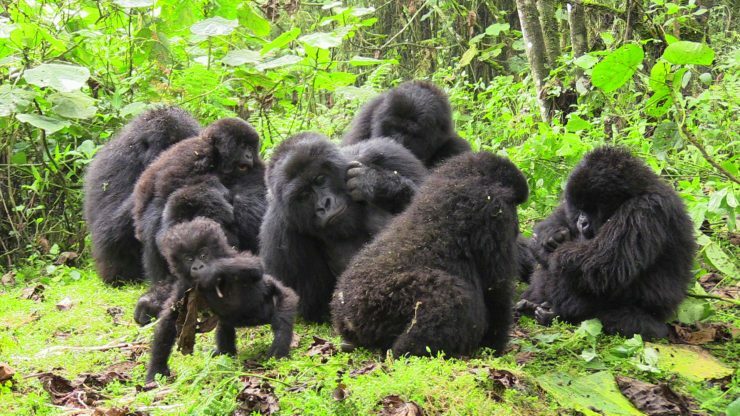 Mountain gorillas in Rwanda & Uganda. The great news is that gorilla numbers have now climbed to over 1000 individuals (according to the latest census). They are now off the IUCN red list of critically endangered species, downgraded to endangered. This is thanks to the tourism revenue that supports their conservation – and many of our clients have contributed by visiting these amazing gorillas. More on the amazing chimps and gorillas of Rwanda in Brad’s Primates, Predators & Prey Safari in August. Epic Madagascar & Ethiopia Two other safari highlights this year was guiding small groups to both Madagascar and Ethiopia. 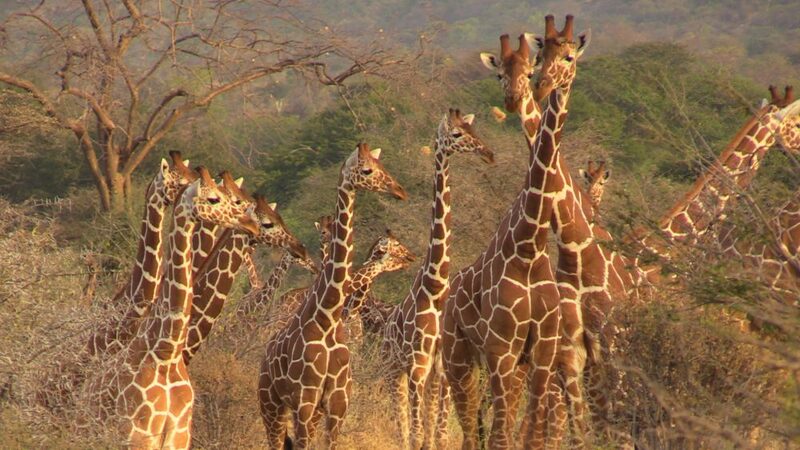 Two culturally diverse destinations, both with unique wildlife and not on the mainstream Africa safari circuit. It is a privilege to experience these wild and magical places and to share them with our clients. In 2019 I am excited we already have two groups looking to experience Ethiopia. What’s New Africa? Kenya Airways has commenced daily flights from JFK New York to Nairobi this year and already this direct route is proving popular and receiving great reviews. If you are interested in joining us on any African journeys of a lifetime please contact us. One amazing wildlife encounter is watching humpback whales ply the freezing Antarctic waters to ‘bubble net’ feed during the summer months. This is a learned behaviour. The whales collectively dive deep blowing a “net” of bubbles to concentrate small fish and krill driving. They circle the bait ball and blow bubbles to keep it from escaping and then on que of the call of one of the whales they drive to the surface with their mouths open to take the fish in expectorating the excess water. In February next year we will be embarking on another expedition to Antarctica and Patagonia. Stay tuned for more amazing video footage. Bookings are already open for the 2019/2020 season so please don’t hesitate to contact us if you are interested. In May this year I was privileged to guide “the next Sir David Attenborough” through the wilds of Borneo, Komodo and Flores. My client was a 15 year old lad with a burning desire for wildlife photography and conservation. He with his mother, shared some incredible diving moments in Komodo National Park and up river in Kalimantan in search of orangutans, gibbons, proboscis monkeys and the myriad of birdlife to be found there. We also trekked through the forests of Nusa Penida in search of the critically endangered Bali Starling. The 17,000 islands of Indonesia really have something for everyone. In July, we were fortunate to return. Sailing on the beautiful Alila Purnama, a traditional phinisi and one of the most luxurious boats in the archipelago. For anyone in search of the ultimate cultural, soft adventure holiday whilst living in the lap of luxury this boat is A grade. The Coral Triangle offers the most biodiverse marine environment on the planet, the snorkelling and diving are unsurpassed anywhere. It is like swimming in a 90 degree overfilled aquarium – sheer bliss and beauty. This is the ultimate multi generation trip or one to be shared with a few like-minded friends seeking to get away with a backdrop of breathtaking natural beauty. Finally in October, we visited Raja Ampat in West Papua aboard the luxury expedition ship, True North. This delivered an experience beyond our expectations. Raja Ampat is at the centre of marine bio-diversity on earth. With over 2,100 species of fish and corals, it is like swimming in an overfilled aquarium. The sheer spectrum of colour, shape and size of the marine life is overwhelming. The Wayag Islands and Ayu Atoll is some of the most stunningly beautiful and surreal scenery I have ever seen in my many years of travel. To be living in the lap of luxury in one of the most remote regions on the planet and still being connected to keep abreast of daily business was incredible. Breakfast, dive, work, lunch, hike, dive, cocktail hour, dinner, sleep. I could do it forever! The wonders of the Indonesian archipelago – the mix of incredible marine biodiversity, stunning natural beauty and rich cultural experience are beyond expectation and a true highlight of our 2018 travels. 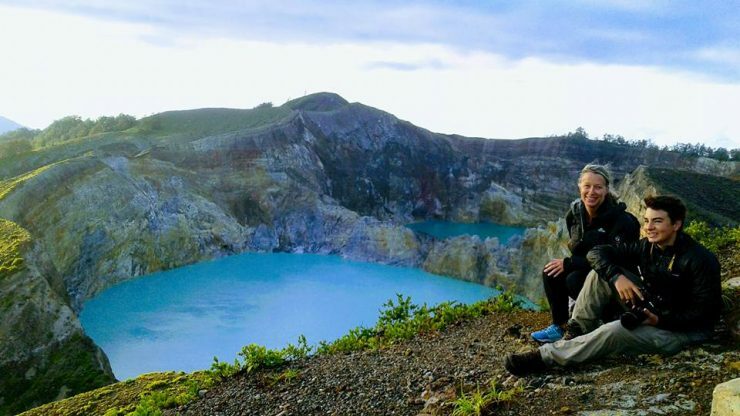 If you are interested in experiencing any of these epic Indonesian journeys, please contact us. My journey to Mount Everest in April & May this year was epic in every respect and extremely humbling. It really is a ‘beast’ of a mountain! To finally reach the summit realised a lifelong dream. The view from the summit will stay with me forever… What blew me away was the thought that I was the tallest person on earth among 7 billion + people! This is an unbelievably beautiful part of the world and a big part of this beauty is the people. Our Sherpa crew were incredible. I would never have summitted without them. They are incredibly tough but at the same time kind and fiercely loyal. In a wider context it hammered home to me just how lucky we are to do what we do. To spend time immersed in such a beautiful culture was amazing. Again I would like to pass on my thanks to my family and all the Epic team for supporting me in this very selfish endeavour. 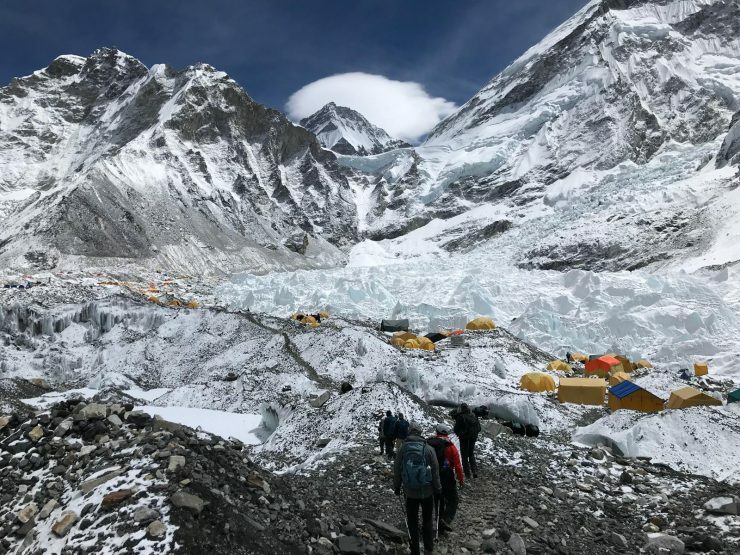 If you are interested, please have a look at the travel blog I put together during the Mt Everest expedition this year. And, if anyone is interested in trekking to Everest Base Camp with me in April 2019 please let me know. One of my highlights this year was guiding a 21 day epic journey by private jet for two fabulous American sisters who wanted to experience the very best of Australia together. 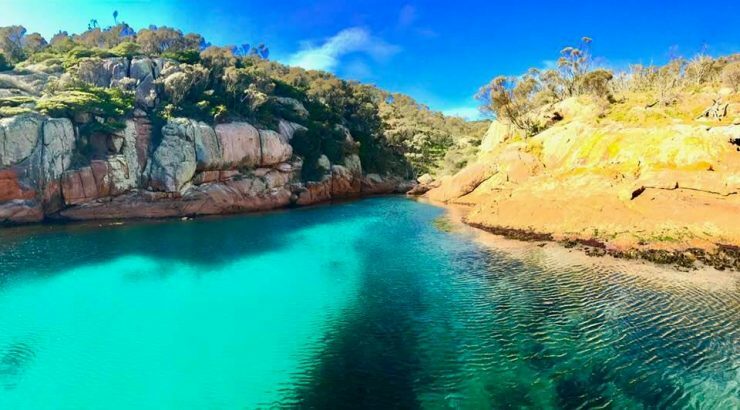 Avid photographers, they wanted to see a vast array of geological landscapes across Australia including tropical north Queensland and the Great Barrier Reef and Kangaroo Island & Tasmania in the south. The 25,000 year old Aboriginal rock art in the remote Kimberley region of Western Australia offered an insight into another world; both modern and old. The vast and rugged landscape was encapsulated by one comment they made “I have never been anywhere this empty before”. We flew by helicopter all day seeing no sign of human habitation, just raw natural beauty and wildlife. Another iconic site that resonated were the beehive domes of the Bungle Bungles; billions of years in the making. Our new U.S based epic team member Bridgit joined us in Australia in July. She experienced beautiful coastal Byron Bay, exclusive Great Barrier Reef ‘island paradise’, up close wildlife encounters and the freshest food imaginable in the southern oceans before finishing her ‘Australian odyssey’ in iconic Sydney. Follow Bridgit on Instagram or contact her to find out more. That said we are seeing increasing interest in destinations less trammelled including Ethiopia, Madagascar, northern Kenya, Bhutan and far-flung Indonesia with its breathtaking remote islands of Raja Ampat & Flores. Being in the field and living the product allows us to continually connect with key contacts in each of our recommended lodges and hotels. This reinforces the Epic difference – our genuine care and commitment to our client’s experience on a personal level. We invest time in our people & suppliers to build long term relationships which in turn benefits our clients. Contact the Epic team to organise your 2019 journey of a lifetime.